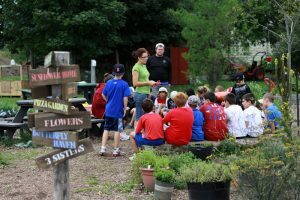 There is a connection between nature and everything we do – how we move, eat, play… Earthbound Kids is an outdoor learning centre where education is experienced in a unique, safe, and nurturing environment. Learning is key and the result is fun! We support teachers with age appropriate curriculum linked workshops that are designed to engage kids in exploring the world around them and their role in preserving it. Earthbound Kids welcomes students of all age groups to participate in workshops designed to use all of their senses. To explore through experience! Come reconnect with nature through a day immersed in it! Children gain hands on learning through custom built programs that make direct connections to school curriculum. Teachers gain the opportunity to participate alongside their students in a fun, interactive way that complements their learning in the classroom. It’s a win all round! Pre-school and kindergarten age children love to discover through their developing senses. They need to see, hear and feel in order to fully understand. Here at Earthbound Kids, our goal is to provide custom built workshops that make it a priority to do just that. Children submerge themselves, through song, story-telling and hands on activities in the great outdoors bringing to life the world around them. 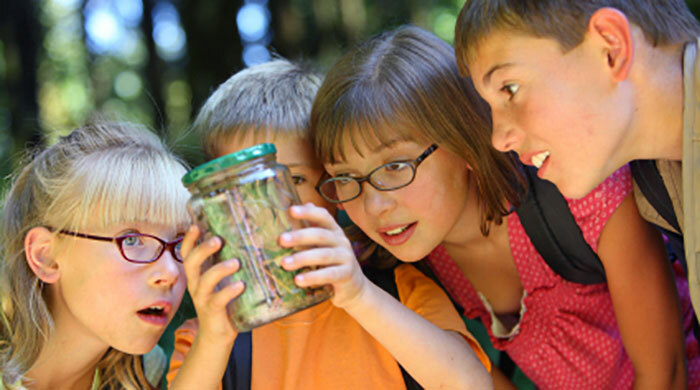 School age children are invited to experience learning in the great outdoors. Through our custom built, curriculum based workshops, students are encouraged to immerse themselves in activities specifically designed to cultivate learning by exploring the space and nature surrounding them while developing their leadership skills. From the beginning of May to the end of June and from Labour Day to the end of October, we are open to nursery schools, daycares and schools for exceptional learning fun. Tours are structured to meet the requirements of the Ontario Science and Technology curriculum as well as target cross curricular learning in language, leadership and the arts. If you have your own idea for a great field trip, give us a call and we can hopefully facilitate your ideas OR tell us about your class and we can do our best to cater your field trip to their learning styles! We would love to show you around the farm and have you meet our educational programmers.